2019 Jacobson Venture Awards Winners Announced! The Joseph H. Lauder Institute of Management and International Studies has established the Jacobson Venture Awards thanks to the generosity of Andrew Jacobson, WG’93, and Marina Kunis Jacobson, G’93, WG’93. This new program seeks to provide Lauder students with the opportunity to focus their energies on their entrepreneurial venture during the summer. Each venture receives a $10,000 cash award. This financial support, coupled with the many other co-curricular opportunities at Wharton, provides a strong foundation for students’ professional development as entrepreneurs. The Venture Award supports a student’s work over the summer in lieu of a full-time internship, allowing the student to concentrate full-time on developing the venture. Croni provides self-service and point-of-sale solutions for the foodservice industry in Latin America. Their first solution is a tablet-based self-ordering kiosk, where customers can make their orders, pay, and earn loyalty points, increasing the store’s revenues and improving customer experience. During the summer, Franco plans to run a pilot in 10-15 stores in Argentina, where he has reached a deal with the largest ice cream chain in Latin America. 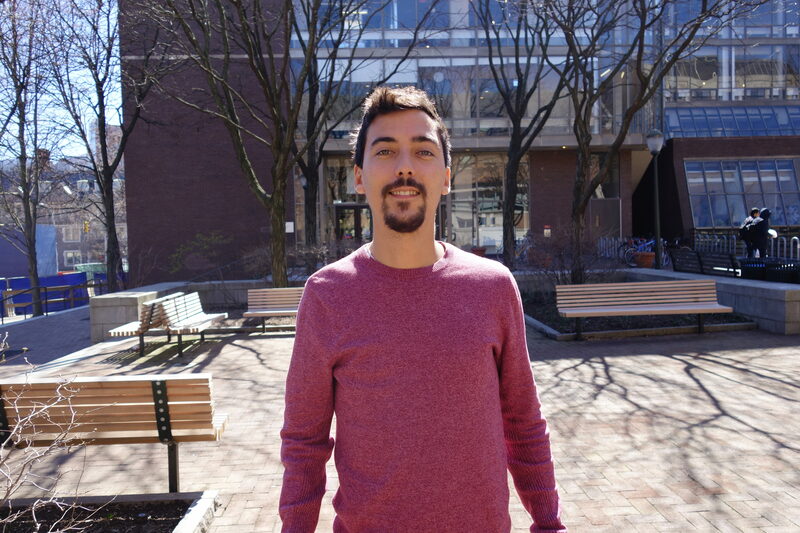 Franco, a 1st year MA/MBA student focusing on the Latin America region, has 4 years of experience in management consulting (McKinsey & Co.) focused on Operations and Digital. He has worked in areas including company-wide digital transformations, digital strategy, and lean operations. Kidas is a social media monitoring service for parents to protect their kids from cyberbullying and online predators using AI. Currently, parents do not have a solution to keep their children secure online and they end up either reading all of their kids’ messages or ignoring the risk. Ron is a 1st year MA/MBA student in the German program. Ron comes from Israel and has a BSc and an MSc in information system engineering from the Technion (Israel Institute of Technology). 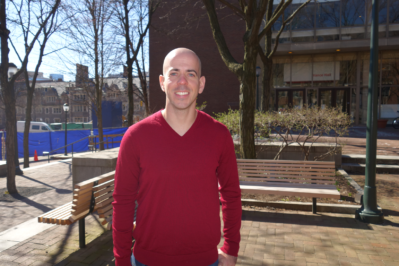 After his studies, he served for 7 years in the Israeli army as an engineer and R&D team leader. Just before Wharton, he was an analyst in an early stage VC fund in Berlin, Germany. Sigo Seguros, a second time Jacobson winner, is a tech-enabled insurance provider making car insurance easy, transparent, and fair for non-standard auto insurance customers. Their aim is to improve the lives of millions of non-standard auto insurance customers, largely Hispanic Americans, who have historically been poorly served by the auto insurance industry. This summer, their goal is to develop partnerships with non-standard auto carriers and acquire their first customers in a California pilot test. 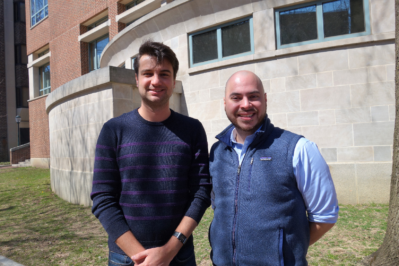 Nestor, a 2nd year MA/MBA student in the Portuguese program, is the son of Uruguayan immigrants, and received his undergraduate degree in Finance from Penn State. He previously worked in financial services investing and is familiar with non-standard auto insurance investing opportunities. His financial services investing work was largely focused on inclusive financial institutions which require the effective management of short-term credit risk, which is key in the non-standard auto insurance space. He began his career at Goldman Sachs in New York. Júlio, a 2nd year MA/MBA student in the Portuguese program, is a Brazilian immigrant and US/Brazil dual citizen. He graduated with degrees in mechanical engineering and international relations from the University of Pennsylvania, and worked as a consultant at Bain and Company for three years. He has since worked in an international development non-profit, where he tackled poverty reduction in Latin America, and at a digital marketing startup, where he worked in strategy, operations, and product management. He brings knowledge of startup operations and online marketing to Sigo.